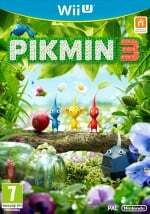 Pikmin 3 is now available in Europe and Australia either from retail outlets or the Wii U eShop and plenty of people have been out exploring the vast environments found in the game. 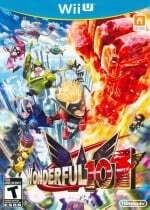 As you may know, Nintendo of Europe is running a promotion that allows people to receive 30% off The Wonderful 101 if they download Pikmin 3 from the eShop. Well, Nintendo of Australia has now confirmed the deal also applies Down Under. So should Australians and New Zealanders download Pikmin 3 from the eShop they'll be eligible to pick up The Wonderful 101 from the virtual store for a discounted price up until 21st September. Has this promotion influenced you into downloading Pikmin 3 instead of grabbing a boxed copy? Let us know by leaving a comment. Already got my boxed copy, i prefer it that way. Ill be getting the boxed copy of W101 as well, not big on digital copies myself. Retail for me. And I always assumed this deal applied to us too. I also own NSMBU on eshop, and a fair few download only titles. Looks like I will need to invest in a HD pretty soon, with wonderful 101 being 10 gig. I can get the disc copy cheaper from any major online store and we don't even know what the eShop price of W101 will be. It could be another £54.99. Also I don't want to use my system memory for any game except eShop exclusives, VC games, or Mario Kart. Anyone know if the Game store download code for pikmin 3 qualifies for the 30% discount for w101 when its released? @Marshi I don't think Nintendo has mentioned it, so we won't know until W101 has been released. Yesssssssss!!!! Was going to download both anyways but this had made it even better! So happy about this news! @bennbill My sister was just telling me last night about her son completely ruining some of her old Wii discs that he had gotten a hold of. Two terabyte hard drives are so cheap now and you'll never fill it up. @GN004Nadleeh Dude a 2 TB drive is like what? $50? it keeps down the price. Plus you think you wouldn't have to by one for the PS4 or Xbone? Their 500 GB is still not going to be enough especially with their streaming feature and movie service. Grah! I want this promotion! I'll even have just enough left over after getting $10 back for adding $100 in funds to my account. Grabbing both games would have been perfect, but I guess now I'd rather wait until Wonderful 101's price goes down. @Exile20 i have a 1.5 tb hdd and that cost me $200, I have a brand new usb 3.0 1tb hdd for $100. they both work with my xbox 360 and my ps3 without having to be locked down to one console. Nintendo advertised 8gb and only gave 3gb without telling anyone not enough room for any dlc or a decent game. The Nintendo website, under the Wii U part, has a section titled External USB Storage for Wii U where they specifically mention how they recommend you to get an external HD, There is an extensive FAQ to guide people of any technical skill level and even a list of compatible Hard Drives there. And Sony and Microsoft also made cheaper SKUs for their PS360s that had pitiful hard drives, and none of them put in big letters "you won't be able to download any retail game here, sorry, you have to buy a Hard Drive"
Do the games load faster on HDD then the wiiu drive? I'm thinking of the lengthy load times on Lego City. Would that have loaded quicker from a HDD? Sadly Australia's stupid ISP and their draconian download quotas means downloading these games has the added expense of using 20-50% of your monthly download limit. Essentially adding another 10-20 dollars to the price. I'll get picmin 3 in store. @GN004Nadleeh They stated on day 1 to buy an HDD. As a matter of fact I got mine for cheap at comp usa. Also Any HDD has a portion that's not usable so it's the same. Also for all those complaining about the system being linked. If your system goes out Nintendo will honor your purchases and you get free downloads for the games you bought. This was confirmed a while ago. lol, you got ripped off. I got a 2TB hard drive for $72 CAD, new off Amazon. I've got a couple of Australian freinds on my WiiU freinds list and know that in general you Australians tend to get screwed over a bit on eStore game availability and Pricing (more so than us in UK anyway).